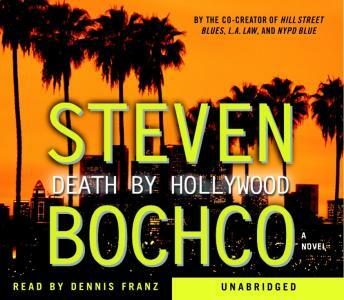 In his sizzling first novel, the creator of L.A. Law and NYPD Blue plunges a down-on-his-luck Hollywood writer into the thick of a murder investigation - which he uses to get better material for his screenplay. When Bobby Newman spies upon his neighbors one day through his $4,000 telescope, he sees a beautiful woman making love to a handsome actor named Ramon. But when their pillow talk turns sour, Bobby watches as she bludgeons her lover to death with his own acting trophy. Instead of reporting it to the police, Bobby decides to write about it - and to turn investigator himself. But he does more than sneak into the dead man's house and steal incriminating video tapes. In this Hollywood funhouse, only the most manipulative will survive.